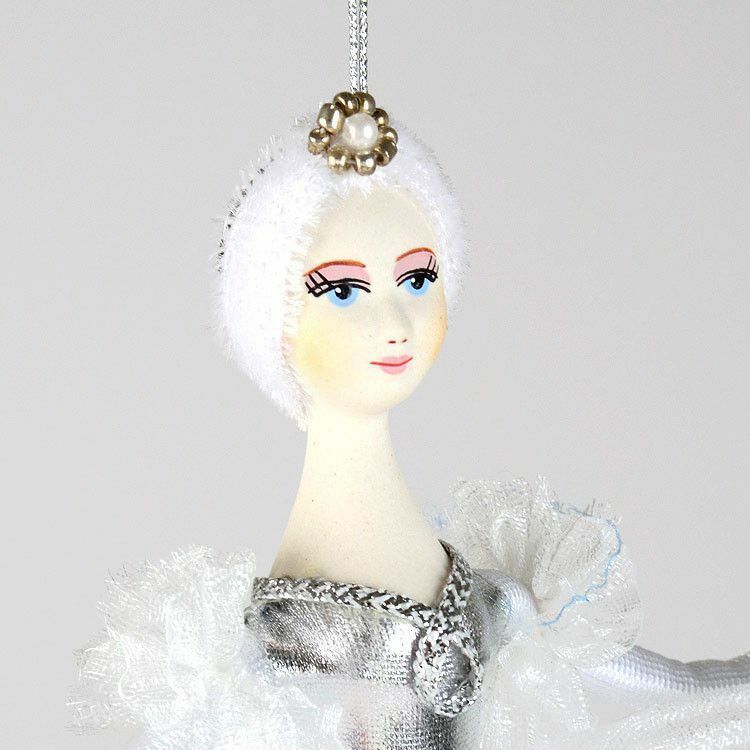 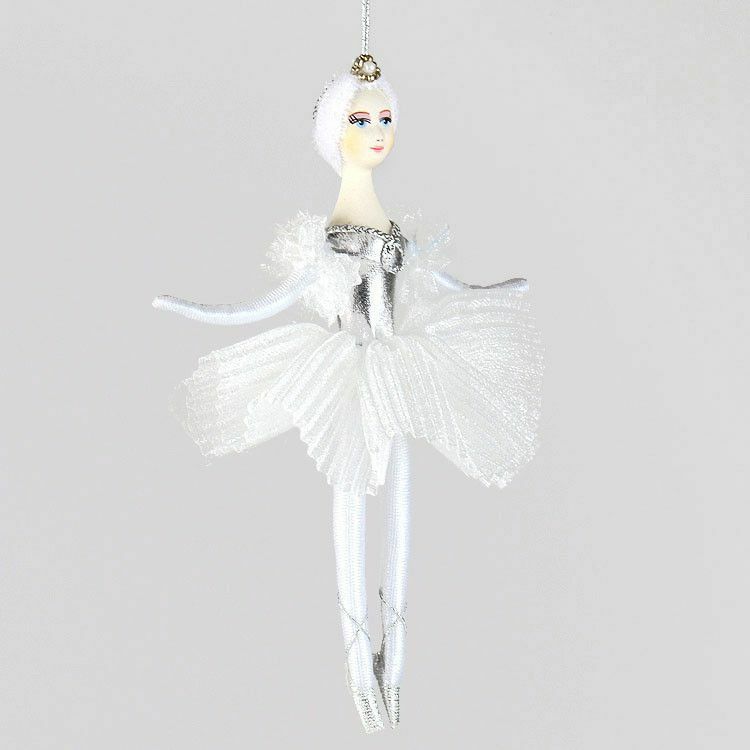 This gorgeous ballerina ornament was hand made in Russia with lots of love and detail. 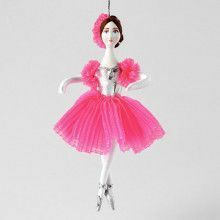 The doll has soft and movable body parts, while the head and bust is made out of porcelain and also delightfully hand painted. 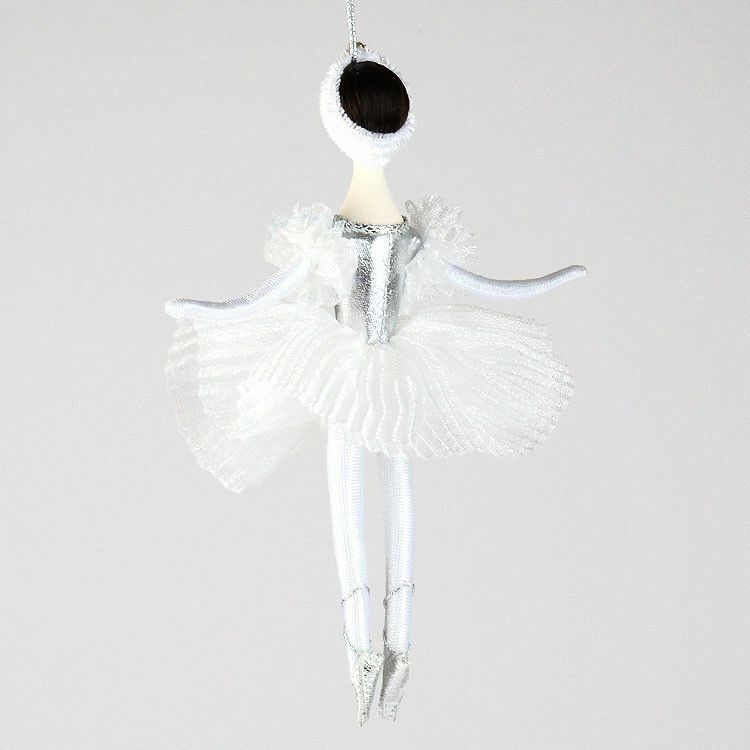 The white tutu dress is accented with a silver bodysuit and silver ballet shoes. 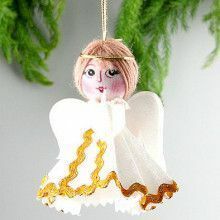 This 6 1/2" tall and about 1" wide doll would make a great gift for any young girl!